Care tip: faux foliage can be easily cleaned with a feather duster. Wipe the silk leaves clean using a wet rag cloth or buy our cleaning spray. 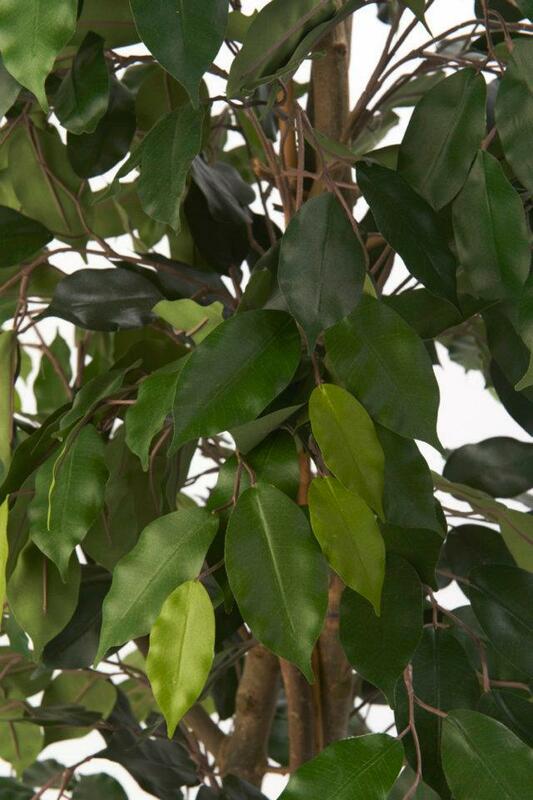 This silk Ficus Nitida plant has been crafted with finesse to look exactly like the living counterpart, a very good replica of the real thing. You would never know that it was fake. The artificial bush is designed to brighten up the green elements in your living space. This faux plantation will keep you away from any kinds of pests breeding in your living space. 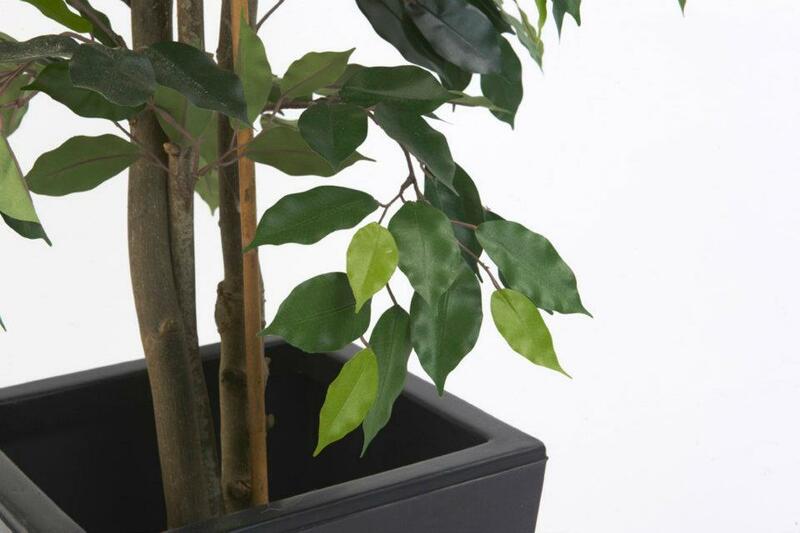 The imitation plant comes with a promising durability, giving you another reason to place the bush in your landscape. You can use the foliage as an ultimate piece of decoration that extravagantly adds freshness with elegance. The imitation plant is non-toxic and beautiful attraction. 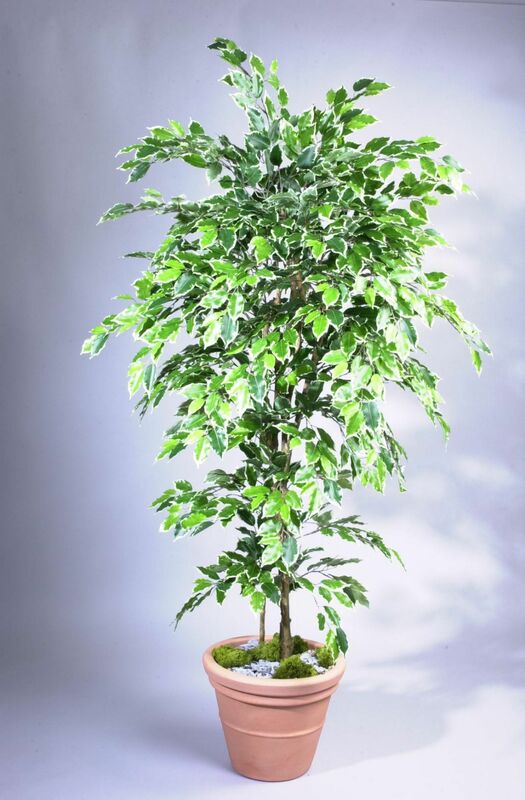 This tree comes in a range of sizes; 3foot/90cm, 4foot/120cm, 5foot/150cm, 6foot/180cm, 7foot/210cm, 8foot/240cm and either Green or Variegated and is part of our Fire Retarded range. These trees are individually hand built in the UK. Get the advantage of Just Artificial gives you the benefit of capturing the beauty of real hops in your home without the caring associated with grooming real planters or maintaining a garden. 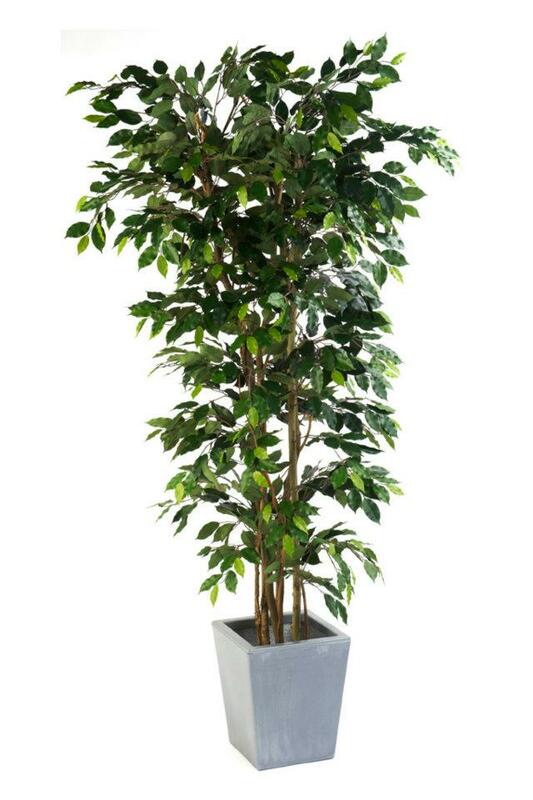 Height Restriction Advice: The majority of artificial Ficus Trees stand a little taller than their specified (approximate) height when dressed, dependant on how the foliage is arranged by the end user. The actual height specified is generally the height from the floor to the top of the Natural Stems and then the top branches and leaves tend to naturally rise up a bit above that. All the branches will be upright on delivery so please do not be alarmed if the box is a good foot (12 inches/30cm) longer than the tree size you have ordered! If your height space is restricted we recommend you contact us for advice, but in general allow for up to half a foot (six inches/15cm) above our specified height when considering your Ficus tree size. These products are handbuilt here in the UK! : Top quality each individually hand crafted and carefully built by craftsmen with many years of experience. Some popular items we may have ready built to go, whilst others depending on the size and our current workload, may take a few days (ie. Trees upto seven foot, small planted items, Large Boxwood Balls) and upto a few weeks (ie. multiple bespoke Large Trees & Hedging) to build. 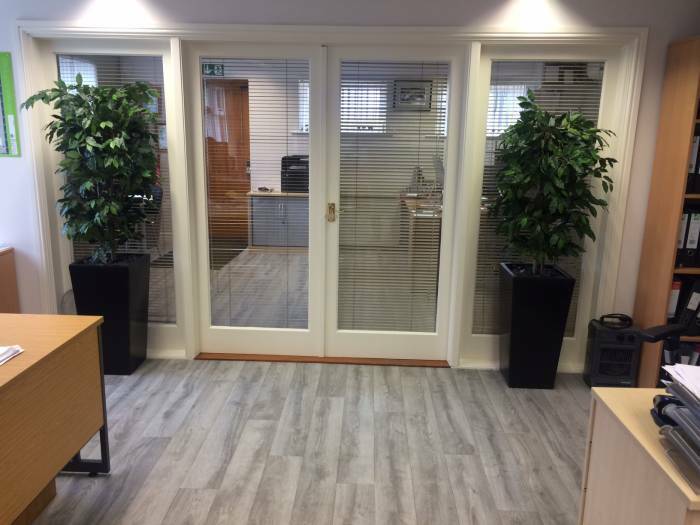 If in any doubt please contact us for more info and we will be happy to advise best lead times and always do our best to meet your requirements/delivery/install deadlines.